In line with this year?s theme ?Continuous ?Everything?? 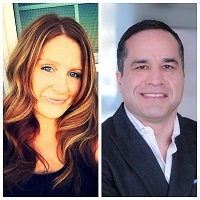 US agile expert Jess Long and the leading ghost negotiator Foad Forghani will provide the equipment in order to become ever more successful ? not only within the field of software quality assurance. The agile testing mindset is ideal for living Continuous Improvement, says Jess Long. In her opening lecture ?Refactoring your Organization through the Testing Mindset? she explains how agile testers can serve as drivers of continuous change in the entire company. She gives the necessary influential and practical techniques. Jess Long works as an enterprise agile coach in the USA. She has over 15 years of professional experience in IT. She pursues the task of transforming the US business world. She does this with good humour and meaningful stories in all facets of life. Communication between the parties is the linchpin of software development projects and especially software QA projects. How can negotiations with stakeholders, supervisors and colleagues be conducted successfully? What must be noted? How have personal interests the best chance of being accepted as requirements? Foad Forghani is predestined for answering this question like no other. He ranks as one of the most sought-after ghost or shadow negotiators in Germany ? i.e. those specialists who develop negotiation strategies for clients from the world of business and politics and accompany them. Foad Forghani becomes involved especially in crisis situations and explosive negotiation contingencies. He knows how to lead the most difficult and complex cases to success thanks to exceptional ideas. His clients are among others high-ranking politicians and business managers. His closing lecture at the Software-QS-Tag ?Continuous Negotiation? is about negotiation situations and negotiation management in software projects.